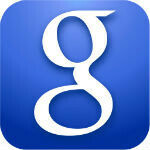 The Gadget Code: Google released Google Now for iOS: Update your iPhone 5 Google app. Google released Google Now for iOS: Update your iPhone 5 Google app. Things haven't been exactly perfect between Google and iPhone 5’s makers,Apple, but still they have worked together now and then to bring the best products for customers. After the Google Maps saga and the controversy, Google has released a major Android app for the iOS, Google Now. Google Now is a part of Android OS Jelly bean 4.1 and after an year of its release, the app has come for iOS. Google Now is Google's predictive search and voice recognition tool which provides the best searching experience through voice or type. The app has been successful in Android and now comes to iOS to compete with Apple’s very own, Siri. The app will not have all the features available in the Android version. The iOS app lacks few of the cards like Boarding Pass, Activity Summary, Events, Zillow, Fandango, Concerts, and Nearby Events. The app cant push through notifications through the iOS and you need to Sign in your Google account to use Google Now. Well what are you waiting for? Update your Google App to get it.